Is your garage door not opening and closing as it should? There’s a good chance you have a garage door opener problem. Houston residents who need garage door opener repair in Houston can always turn to Halo Overhead Doors — a family-owned garage door sales and service company with a history of quality dating back over 25 years. When you activate your garage door opener, what happens? If the answer is nothing, or if your garage door opener is making an unusual type or amount of noise as it opens, there’s a good chance you are in need of garage door opener repair. A surefire way to know if you need professional assistance with your garage door opener is if the door won’t open when you try to activate the garage door opener, but when you disconnect the garage door opener, you are able to open and close the door manually. If you are not able to open or close the door manually, your problem may be a broken spring, rollers off the tracks or some other garage door issue, all of which Halo Overhead Doors can also help you resolve. Why Choose Halo Overhead Doors for Residential Garage Door Opener Repair? When it comes to residential garage door openers, there are many different types and sizes to consider. Your residential garage door opener may be a 1/3, 1/2 or 3/4 HP opener. It may be a chain-drive, belt-drive or screw-drive opener. 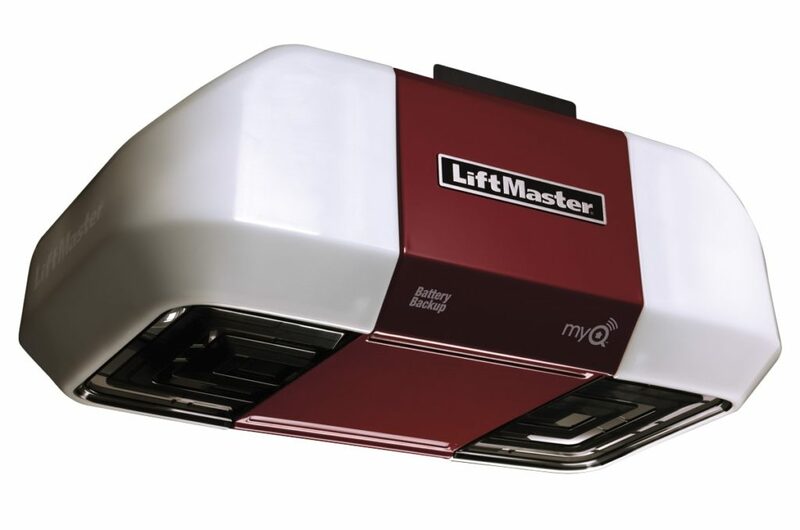 It may be a LiftMaster garage door opener with Security 2.0+ and MyQ smart technology for easy operation and advanced security. You need a garage door opener repair company that is familiar with all of these models and features in order to ensure an accurate repair. In and around Houston, that company is Halo Overhead Doors. Our garage door opener repair technicians have years of residential garage door opener experience and know all major brands and types of garage door openers intimately. If your garage door opener can be repaired at a reasonable cost, we’ll repair it. If it needs to be replaced, we’ll know right away. If it needs a new part, we’ll have it. When you call Halo Overhead Doors, you can be confident that your garage door will be back up and running in proper operation in short order. We know that having a faulty garage door opener can be extremely frustrating. No one wants to have to get out of their car to open their garage door by hand everytime they come home. Doing so could compromise your safety and expose you to injury. At Halo Overhead Doors, we offer very reasonable prices on fast, high-quality garage door opener repair. To find out more, just contact us now for a free estimate or get in touch right away by calling (281) 783-3338 to schedule garage door opener repair service.